247. 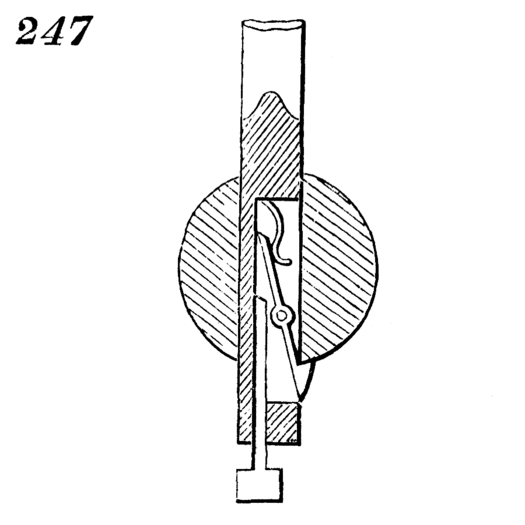 A mode of releasing a sounding-weight. When the piece projecting from the bottom of the rod strikes the bottom of the sea, it is forced upward relatively to the rod, and withdraws the catch from under the weight, which drops off and allows the rod to be lifted without it.